Eeek! 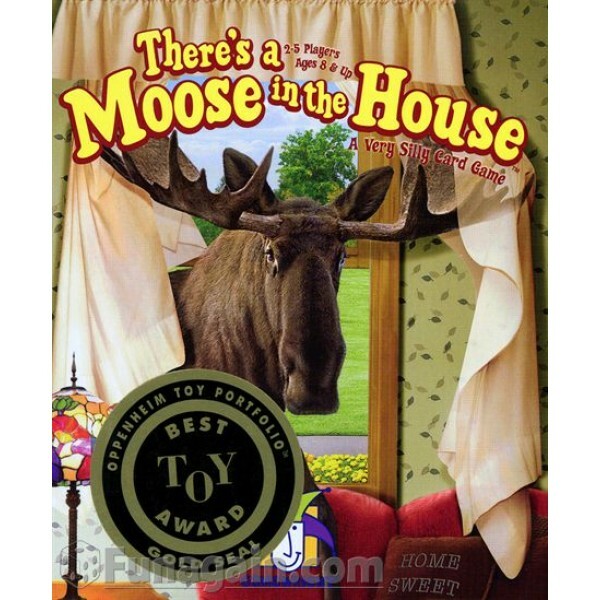 There's a moose loose in the kitchen... and another in the bathroom! 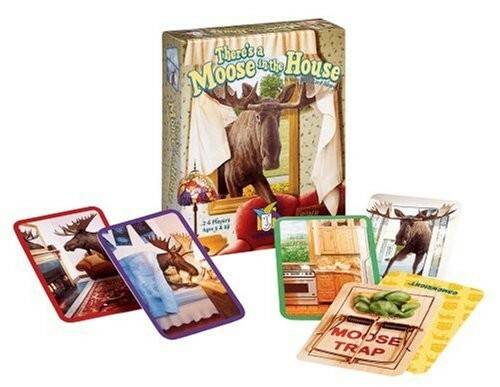 In this silly matching card game, the goal is to keep moose out of your house, while at the same time giving them to your opponents. Use a door to close off empty rooms or, if you're lucky, plant a moose trap to keep those loveable but uninvited visitors away! 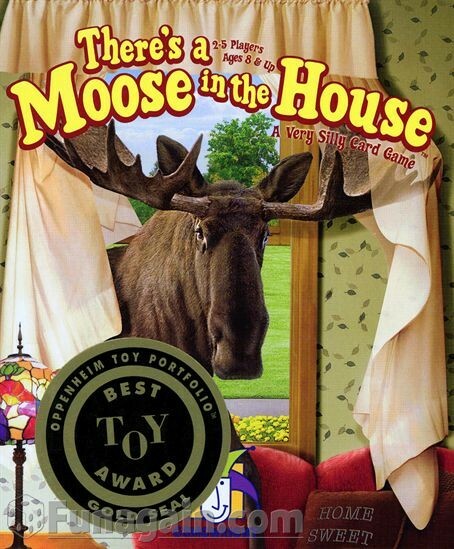 The player with the fewest moose wins. This game for 2 to 5 players includes 58 cards and rules of play.